IT technicians often struggle when it comes to effectively communicating with their colleagues. This is one of the major reasons they are not considered for leadership roles. 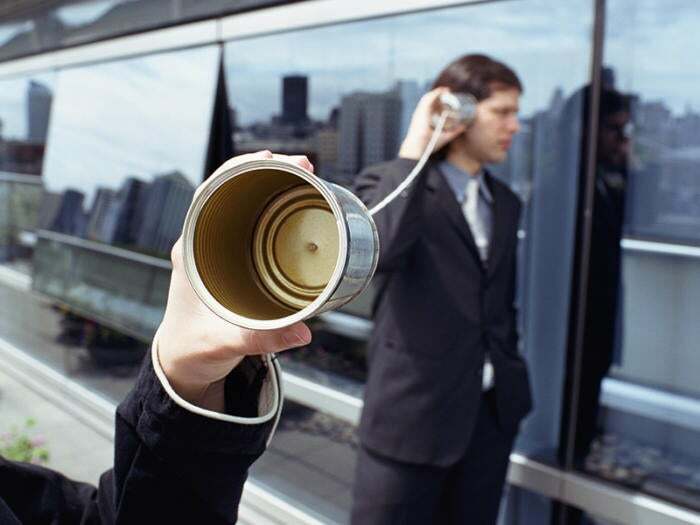 If you are an IT professional, here’s how you can improve your communication skills. In "From IT technician to IT leader – taking the first step towards leadership excellence," I talked about the challenges IT technicians face in making the transition from technician to leader. One of the key areas that they struggle with is effective communication. It’s not just the technologists, but most of us struggle with two things: analytics and effective communication. Both skills are critical to become a leader. In this article, I will focus on how you can improve your communication skills. There’s tons of material on this topic all over the internet, not to mention a number of great articles right here on CIO. So, what makes this article different? Well, it is based on my personal opinions formed after spending more than three decades in the industry leading cross functional teams including the office of the CIO. During that time, I have seen a lot of IT technicians struggle when communicating with nontechnical staff and managers and leader from other departments. I believe, at a lower level, that is what gave birth to a “business analyst” role. As an IT technician, you hurt your chances of getting promoted and making a name for yourself if your manager has to serve as your translator. If you prefer to do all your communications through someone in your organization, and people come to that person to get through to you, you will be pigeon-holed into a specific role. You need to be able to communicate with the non-IT people around you. You may want to look into jargon that appeals to the person you are talking to, as opposed to jargon that appeals to you. For example, when talking to someone who is asking for an update on a project, you should quickly identify what they are interested in and then address that portion of the project in your communication. There are a lot of moving parts with every project, a lot of the stuff that goes on in the backend, and a lot of challenges that need to be addressed. You do not need to pop-open the hood and give everyone the grand tour of the engine, if they are interested in a progress update, just give them that. If you are on schedule to meet the deadline, tell them that, and if you think there will be a delay, send them an email. This brings me to my next piece of advice. Emails may be the norm or a big no-no for you depending on the culture of your organization, but in my experience, emails are a great way to communicate your ideas to others in a detailed manner. When writing an email, you have a lot of time to put ideas into words, put those words in an orderly manner, and then read, edit, re-read, and re-edit until you have an easy-to-read email that addresses all the concerns of all stakeholders involved in a project. Another advantage in communicating through emails, and through written communication in general, is that you control how you sound. What do you do when you make eye contact with someone at the workplace? You smile and say hi. What if you’ve already said hi to that person in the morning? Well, that’s something a lot of IT technicians struggle with. Spending several hours a day in front of the screen takes its toll on a lot of people, and turning to a different screen to get their daily fix of entertainment doesn’t help. Believe it or not, posture, facial expressions, and body language in general go a long way to establish you as leadership material in the eyes of the top brass of your organization. Saying good morning to your coworkers, shaking hands when you meet someone, making eye contact while you do so, and throwing a smile in their direction every once in a while, will do wonders in improving your relationship with your coworkers. You may be an expert in your domain, but you have to realize that everyone has their own skill set and their own area of expertise. You have to give respect to get respect, so the next time that sales agent doesn’t know how penetration testing works, and why you can’t move an app to the cloud before you do that, do not scoff at their lack of knowledge. You know how to work the cloud, and they know how to sell it. If you educate people, without talking down to them, they will always think of you as someone who helped them learn something new. If you talk down to them while doing so, they will actively seek new ways to exact their vengeance upon you. Unlike how the Silicon Valley is portrayed by Hollywood, people in real life do not fall in line when a would-be leader shows arrogance. Pride goeth before destruction, and a haughty spirit before a fall, so be respectful of your colleagues and they will return the favor in due time. This way, you will know exactly how to communicate with that person, which jargon to use, and how to explain something in a way that they can relate to it. If you do not do your homework on new people before you meet them, you run the risk of either talking down to them or assuming that they have knowledge of something when they don’t. In either case, you run the risk of not communicating with them effectively. It doesn’t hurt to do some light reading from time to time. You can also listen to podcasts and try to pick up vocabulary from the people around you. For every technical term you know, you need to have a non-technical word or phrase in your arsenal to be able to communicate it to others. One fun fact about improving your vocabulary is that when you effectively communicate something to someone using a certain phrase, they will start using that phrase in their communications with others. And when that starts happening, you will have taken a small but extremely important step towards leadership excellence.